The countdown for the Thursday launch of India’s latest communication satellite GSAT-6 will begin tomorrow, Indian Space Research Organisation said on Tuesday. Mission Readiness Review (MRR) committee and Launch Authorisation Board (LAB) have cleared the starting of the 29-hour countdown at 11:52am, Isro said. 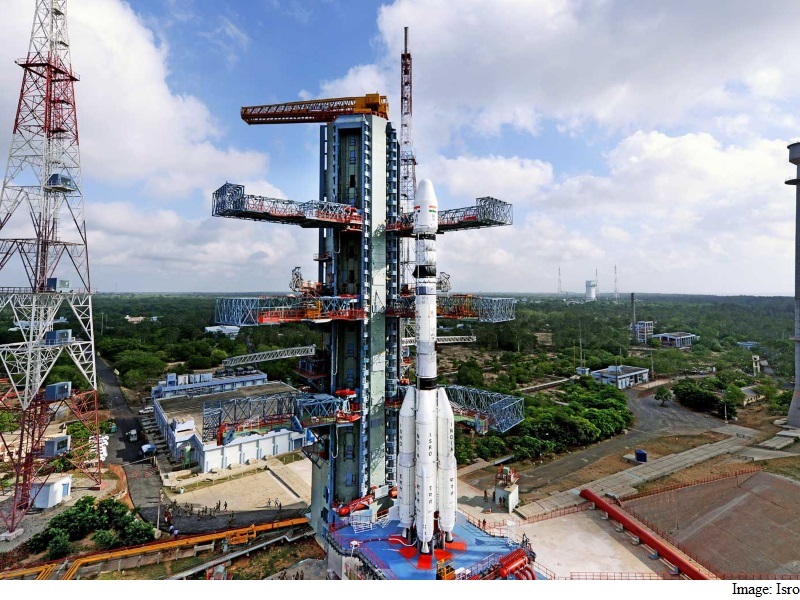 The launch of Geo-synchronous Satellite Launch Vehicle (GSLV) D6 carrying GSAT-6 is scheduled at 4:52pm hours on Thursday from Satish Dhawan Space Centre at the spaceport of Sriharikota in Andhra Pradesh. GSAT-6 provides communication through five spot beams in S-band and a national beam in C-band for strategic users, Isro said. The cuboid shaped GSAT-6 has a lift-off mass of 2117 kgs. Of this, propellants weigh 1132 kg and the dry mass of the satellite is 985kg, it added. One of the advanced features of GSAT-6 satellite is its S-Band Unfurlable Antenna of 6 metres diameter. This is the largest satellite antenna realised by Isro. This antenna is utilised for five spot beams over the Indian mainland. The spot beams exploit the frequency reuse scheme to increase frequency spectrum utilisation efficiency, Isro said. Isro said after satellite’s injection into GTO (Geosynchronous Transfer Orbit) by GSLV-D6, Isro’s Master Control Facility (MCF) at Hassan takes control of GSAT-6 and performs the initial orbit raising manoeuvres by repeatedly firing the Liquid Apogee Motor (LAM) on board the satellite, finally placing it in the circular Geostationary Orbit. After this, deployment of the antenna and three axis stabilisation of the satellite will be performed. GSAT-6 will be positioned at 83 deg East longitudes, it added. The mission life of the satellite is for nine years.